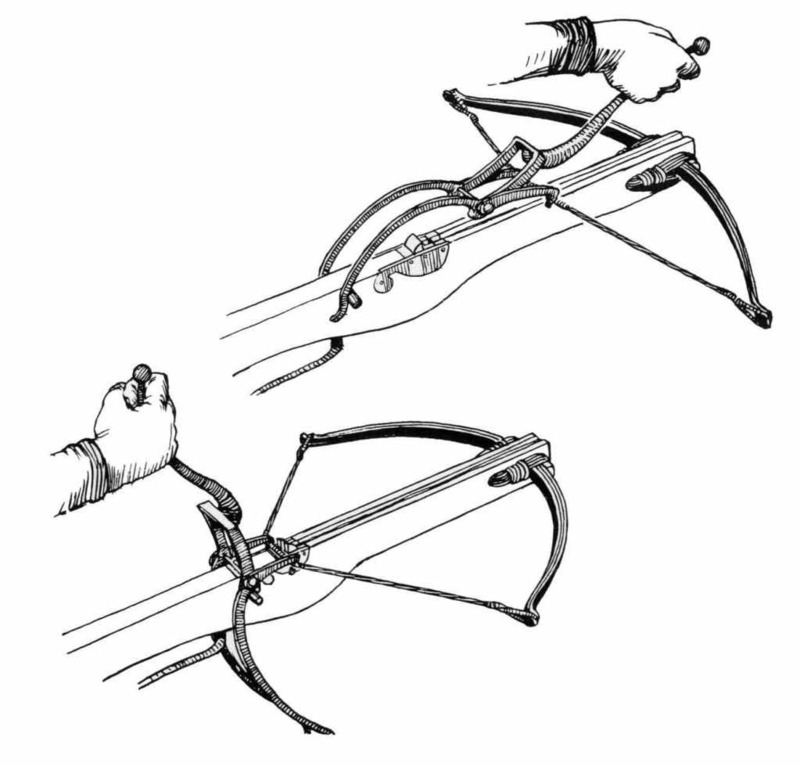 Based on basic physics, I know that a lever can make the pulling of the crossbow much easier. However, I am not sure on the specifics. Assuming that the person holds it in the same way as in the picture, what would be the draw-weight that he can easily pull with the lever (assuming a modestly strong soldier)? Is it safe to say 180-250lbs? in a nutshell Payne Gallwey got it wrong. The distance from hook to hook pivot verses hook pivot to arm tip may well be 4:1 but this is not the important factor here. If you look at the second picture down, the distance in height of hook pivot above hook verses hook pivot to tip arm is very very different from 4:1, maybe a 15:1? I can span a 250lb bow with one finger and this is not a boast or an exageration to try to illustrate my point. I haven't gone higher because I haven't got round to it, but I am sure I can. Goats foot bows are hand held when loaded, so a stirrup doesn't come into it and usually just a hanging ring was present at the front.